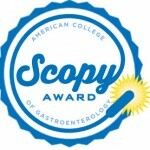 The American College of Gastroenterology (ACG) announced the winners of its third annual SCOPY Awards (Service Award for Colorectal Cancer Outreach, Prevention and Year-Round Excellence) in October, and DOM’s Division of Gastroenterology and Hepatology (UVA GI) was one of 21 programs around the country recognized with an award. 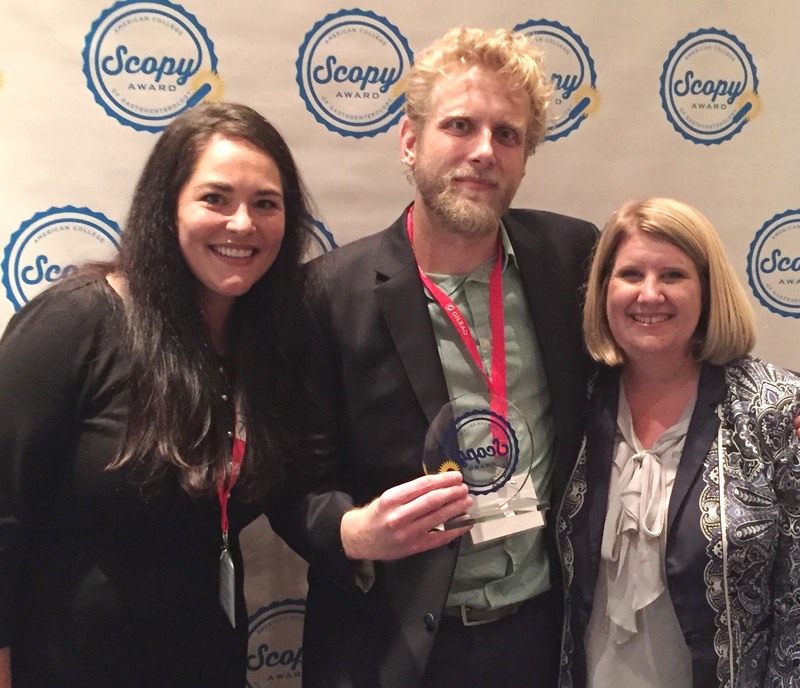 The SCOPY awards recognize achievements of ACG members in their community engagement, education and awareness efforts for colorectal cancer prevention, according to the ACGBLOG website. UVA GI “succeeded in its goal of making a great public health impact [in raising awareness of colorectal cancer] by targeting both the University and the entire UVA Hospital patient community. Physicians, nurses and endoscopy technicians answered questions about screening at a University event estimated to have reached 23,000 people,” according to ACG’s news release (10/18/17). Award winners were honored in October at a reception during the World Congress of Gastroenterology at ACG2017 in Orlando. 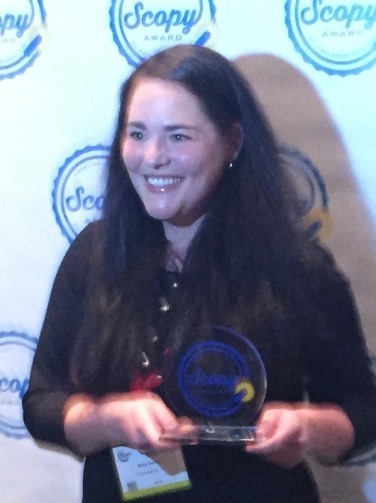 GI faculty member Amy Doran, MD, was on hand to accept a SCOPY on behalf of the department. Another SCOPY award winner, Matthew Mewhorter of Culpeper, VA, was recognized in the category of “Inspiration and Impact.” Mewhorter, a stage-two colon cancer survivor who was treated at UVA, “inspires people across the cancer community with his comic, ‘Cancer Owl,’ in which he portrays himself as an owl and tells his and others’ cancer stories.” UVA GI credits Mewhorter for inspiring its Digestive Health Service Line, as well as its award-winning CRC awareness efforts. “He was able to reach out to every member of our staff, highlighting the importance of our role, from the schedulers who made his appointments to the kind faces of peri-procedural nurses,” according to the division. 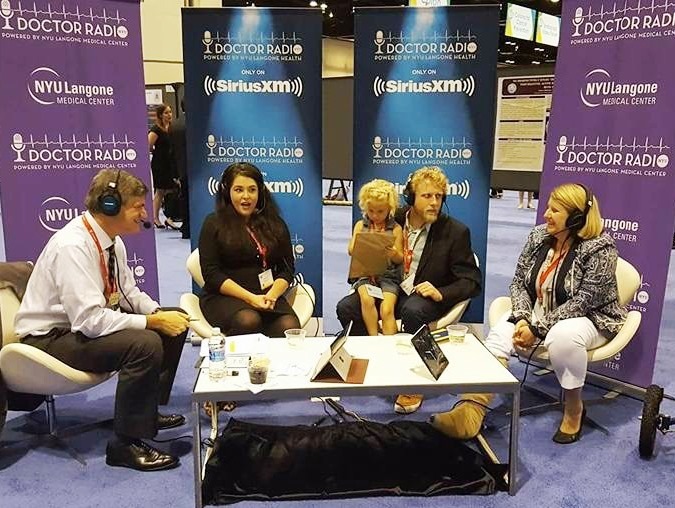 GI’s program was highlighted in a half-hour segment on SiriusXM’s Doctor Radio, in a segment recorded in October at ACG17, which featured Matt Mewhorter with the UVA physicians who treated him — Amy Doran, MD, of the Division of Gastroenterology, and Traci L. Hedrick, M.D., FACS, FACRS, of the Division of Colorectal Surgery in the Department of Surgery. 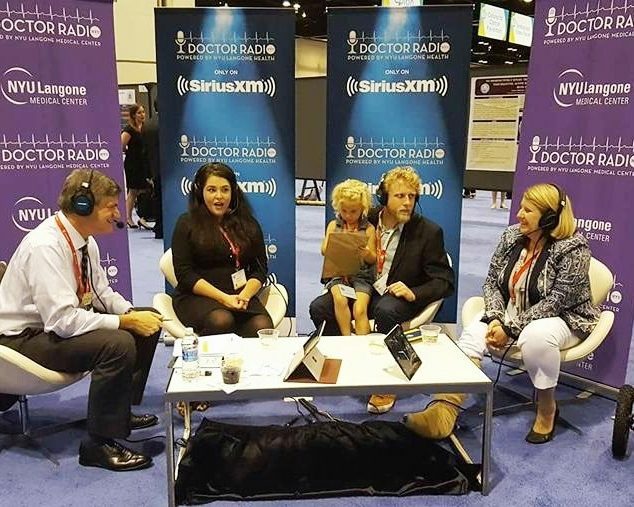 SiriusXM interviewer with (l-r) Dr. Doran, Matt Mewhorter, and Dr. Hedrick.